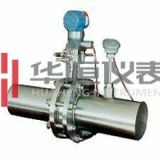 The plug-in ultrasonic flow meter consists of a main unit and a plug-in sensor. Plug-in sensors can be installed by simply opening two mounting holes in the pipe surface. With the opening tool, the plug-in ultrasonic sensor can be installed without stopping the water. 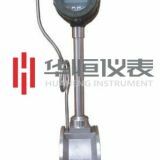 Since the sensor is directly in contact with the fluid, the measurement is stable and reliable. 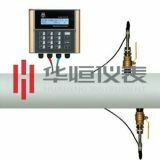 The plug-in ultrasonic flowmeter consists of a converter and a pair of plug-in sensors. The plug-in sensor consists of a positioning base, a ball valve, and a sensor core. 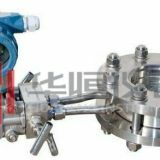 Principle: When the ultrasonic wave passes through the liquid, the liquid has a slight influence on the insertion time, and the change of the insertion time is proportional to the liquid flow rate. The plug-in electromagnetic flowmeter consists of a converter and a single plug-in sensor. 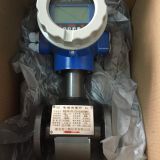 Plug-in sensors are available with or without ball valves. The principle of measurement, its working principle is based on Faraday's law of electromagnetic induction. 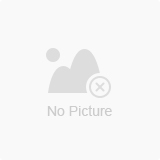 Color Paperless Recorder When the conductive liquid flows into the measuring tube surrounded by the magnetic field, an induced electromotive force E proportional to the average speed V is generated in a direction perpendicular to both the flow rate and the magnetic field. The magnetic field strength B is a constant (controlled by the coil current), and the distance between the monitoring electrodes is also fixed. 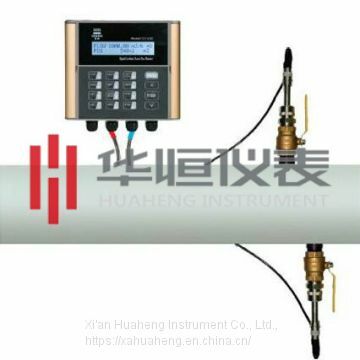 Therefore, the liquid flow velocity V is the only variable that senses the charging dynamic potential E, and the output signal of the electromagnetic flowmeter is linear with the flow rate.